Employer's note: As a growing team with a focus on team culture, our current policy is 4 days in office and 1 day remote every week. We’re looking for a full-stack engineer to contribute to the development and future iteration of our current product platform and feature set, including but not limited to our admissions and intake process as well as our custom platform for hosting our participants’ educational and social experience. This person will be joining the team as one of the first engineering hires and will be integral in growing the culture of our engineering team. This person needs to know how to collaborate and communicate with non-technical team members and take ideas and input and turn them into reality. The right person will enter our fast-paced environment and quickly build strong relationships with the team and make contributions to our growing platform. This is a full-time role based out of our New York headquarters. You’ll work with our product managers and design team to translate technical requirements into code, consult on prioritization of platform features, and build and refine new features. Strong familiarity with React, or a similar front-end framework. Are a demonstrated and celebrated teammate & leader - someone whom your previous teams would love to work with again. Are a hustler - you love the early-stage process of product development and enjoy owning the larger goal. Are a great partner-in-crime - you can think at a strategic level as a co-conspirator and thought partner for your colleagues, manager, and everyone you interact with. Tempest (formerly known as Hip Sobriety) is building the next generation of recovery care: a meticulously designed brand and media presence which positions sobriety as an aspirational lifestyle choice and an online educational platform to help achieve it. Our unique approach of putting people at the center of their own recovery helps us reach the 46 million Americans who don't identify as addicted. And lets us disrupt the entire recovery industry. The current product is an 8-week ed-tech/digital therapy/online community that is a blend of online resources and instructor-led online sessions. At this point, over 2000 participants have been through the beta course with a Net Promoter Score (NPS) of approximately 80. 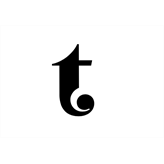 We launched a multi-contributor editorial platform, The Temper, in winter 2018. We serve a customer currently ignored by the wellness, healthcare and recovery industries; deliver them to sobriety; and keep them engaged in an evolutionary pursuit at a fraction of the cost of traditional for profit treatment modalities. Tempest was founded in 2014 and is backed by Slow Ventures, Refactor, Female Founders Fund, and Red Light Management. What we value and why you should join. We’re a group of passionate and committed individuals determined not only to create a modern, feminist, inclusive, recovery modality but also to entirely upend the way our culture views alcohol—we are the anti-Rosé All Day. We have a scrappy, get it done upstart ethos. We believe in showing up no matter what, persistence, transparent communication, and collaboration. You should join if you want to make a difference in the world, and see this as the obvious way for you to do just that. Tempest is an equal opportunity employer. We are committed to fair and inclusive employment practices, and strongly encourage people of color, women, LGBTQ individuals, people with disabilities, and others who may contribute to the diversification of ideas to apply. More jobs at Tempest, Inc.
Want to get notified about new jobs at Tempest, Inc.? Full Stack Engineer - Ruby on Rails/React at Tempest, Inc.